A twist on the traditional sloppy joe, made with lean ground turkey, Mexican spices, and topped with fresh avocado slices. This post has been sponsored by The Hass Avocado Board in partnership with the American Heart Association through Kitchen PLAY. I was compensated for my time. As always, all thoughts and opinions are my own. 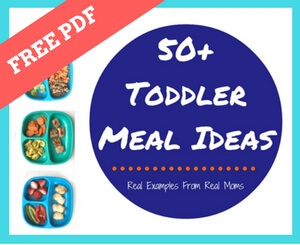 If you want to know the method to my madness when it comes to getting my toddlers to try new recipes, I can tell you it’s easy. It’s relatively budget-friendly. Oh, and it’s tasty. I seriously hope I’m not jinxing myself here by writing this. In all seriousness, the key to most my recipes that you’ll find on this blog is that they are a mix and match of ingredients I KNOW the boys will eat. Take these Southwestern Sloppy Joes for example. Corn? Check. Tomato sauce? Check. Oh, and Hass Avocados. Check, check! The wild card is obviously the ground turkey, but I can tell you that there’s a greater chance of ground turkey finding its way into their little mouths IF it’s paired with a food like avocado. I do what I can folks. I do what I can! My boys will eat Hass avocados on-the-daily. So, I try to incorporate them into as many recipes as possible. Which is fine by this registered dietitian mom because fresh avocados are a heart-healthy fruit. They provide naturally good fats, are low in saturated fat, and are cholesterol- and sodium-free. PLUS, like I said, avocados, which are a fruit, although people think of them as a vegetable, contain less than one gram of sugar per 1-ounce, the least amount of sugar per serving of any other fresh fruit! While it might seem funny to worry about fats and cholesterol for my toddlers, the truth is I pretty much always shop for heart-healthy foods like avocados, and many of the other ingredients in these southwester sloppy joes. I created this recipe not only because of my toddler’s love for this recipe, but because I know many of us are looking for heart-healthy recipes we can feed our family and friends. Heart disease IS the leading cause of death for both men and women in the U.S. and you know what? Someday my little toddlers are going to be grown men and women, so I want them to reap the benefits of a heart-healthy diet from early on! Heat large nonstick skillet over medium-high heat. Add onion, garlic, red bell pepper, and ground turkey. Cook 8 to 10 minutes, breaking turkey into small crumbles and stirring occasionally. Stir in tomato sauce, spices and corn. Bring to a boil and cook 5 to 7 minutes or until sauce is thickened, stirring occasionally. Spoon over rolls and top with 2-3 avocado slices per sandwich. Nutrition Information Per Serving: Calories 400; Total Fat 12 g (Sat 2 g, Trans 0 g, Poly 3 g, Mono 6 g); Cholesterol 60 mg; Sodium 300 mg; Potassium 1100 mg; Total Carbohydrate 41 g; Dietary Fiber 8 g; Sugars 10 g; Protein 35 g; Vitamin A 1790 IU; Vitamin C 55 mg; Calcium 100 mg; Iron 4 mg; Vitamin D 15 IU; Folate 120 mcg. Along with pleasing my toddlers’ palates, I created this recipe to bring awareness to a heart-healthy recipe contest called, Take Avocado to Heart. Last year, the Hass Avocado Board (HAB) and the American Heart Association (AHA) announced its four-year strategic alliance to encourage Americans to eat the daily recommended amounts of fruits and vegetables, an endeavor that has the potential to limit deaths from cardiovascular diseases, stroke and diabetes. So, this February, Take Avocado to Heart has officially launched and runs all month long, from February 9-27, 2017. If you want to enter this contest, check out the contest information and use the #addavocado, and adhere to the AHA nutrition criteria. Are you familiar with easy and creative recipes that incorporate Hass avocados and are heart-check certified? If not, be sure to visit Love One Today to learn more. And for an extra boost of Hass Avocado goodness, be sure to visit them on Facebook, Twitter, Instagram and Pinterest. Now here’s a perfect recipe. I love this and I’ve been looking for a proper recipe since forever. Thank you! You are so welcome Julie!